The Wu-Tang Clan is American hip-hop royalty. Rolling Stone called them the ‘best rap group ever’ and their debut album is considered one of the greatest of all time. Since 1992, they have released seven gold and platinum studio albums with sales of more than 40 million copies. So how did nine kids from the Brownsville projects go from nothing to global icons? Remarkably, no one has told their story-until now. 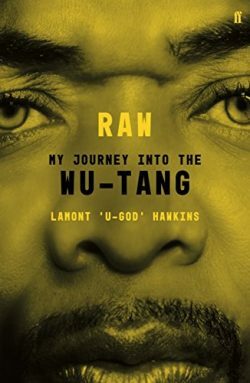 Raw is the incredible first-person account of one boy’s journey from the Staten Island projects to international stardom. Part social history, part confessional memoir, U-God’s intimate portrait of his life – and those of his Wu-Tang brothers – is a brave and unfiltered account of escaping poverty to transform the New York hip-hop scene forever.